When your mortgage comes up for renewal, you have the flexibility to pay down some or all of your outstanding principal, without penalty, and to select new mortgage terms to meet your current needs. Here are three typical situations and what you might consider doing under the circumstances. You received a promotion, and your cash flow has increased. •Making a lump-sum principal prepayment to put towards your principal amount. Both choices will reduce your total interest costs and help you become mortgage-free sooner. You anticipate a major expense in the near future or are experiencing cash-flow difficulties. You’ll get an immediate cash infusion to pay other debts or make essential purchases. You’ll have more monthly cash available for other expenses. Your financial situation hasn’t changed. •Renewing your existing mortgage terms. Your mortgage will continue to meet your needs, just as it has in the past. * To refinance your mortgage, you will need to requalify based on your current circumstances. 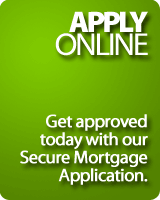 ** Refer to your mortgage documents for details. If your mortgage is coming up for renewal, be sure to contact your mortgage broker. We’ll help you review your options and help you select the mortgage that’s right for you.